1) The WORLD STREETFOOD CONGRESS would be in a bigger venue. The gathering itself would be located in the Mall of Asia Concert Grounds in Pasay City, Manila. From May 31-June 4, everyone would be treated to loads of food from at least 13 different countries. 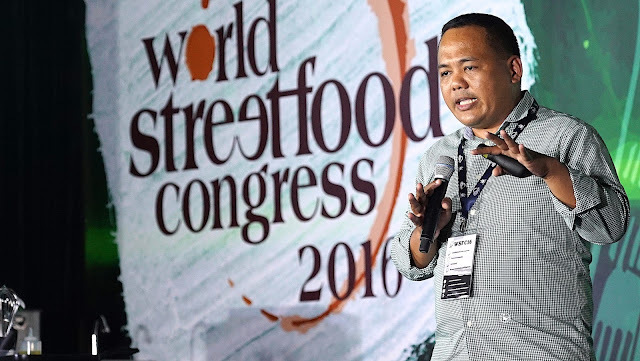 Anton Diaz of Our Awesome Planet does a talk during the World Street Food Congress 2016. 2) Different talks, seminars and demos would occur during the first two days of the congress. 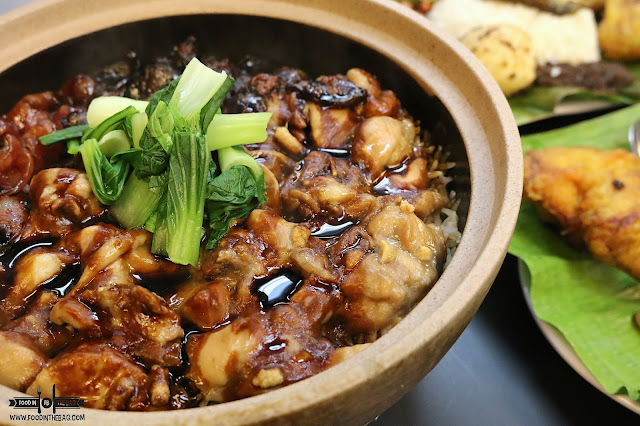 Here, industry leaders would part knowledge and tips and tricks when it comes to food. The dialogue would revolve around the theme "RE-IMAGINE POSSIBILITIES". 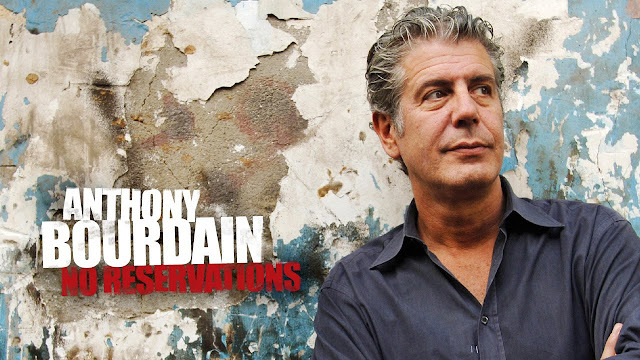 3) ANTHONY BOURDAIN would also be coming on over. A well known food writer and explorer, this guy needs no introduction. Currently running the show PARTS UNKNOWN on CNN, his insights would be welcomed by everyone. He is working on bringing different stalls to his much awaited food venture the BOURDAIN MARKET in NYC. 4) Learning from last year's event, MORE STALLS are coming in to serve everyone. In total, around 35 different vendors would be present. 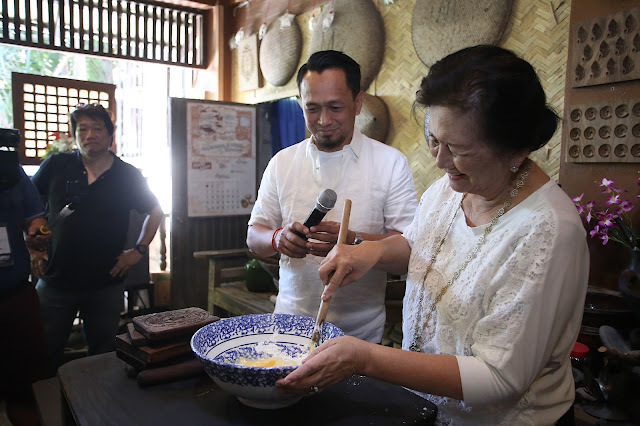 For the Philippines, Chef Sau del Rosario will be the team captain. He would help and mentor the different stalls that would be from all over the country. 5) Of course, THE FOOD! As mentioned, 13 different countries would be well represented. Furthermore, the participants from all over the region would be completely different. 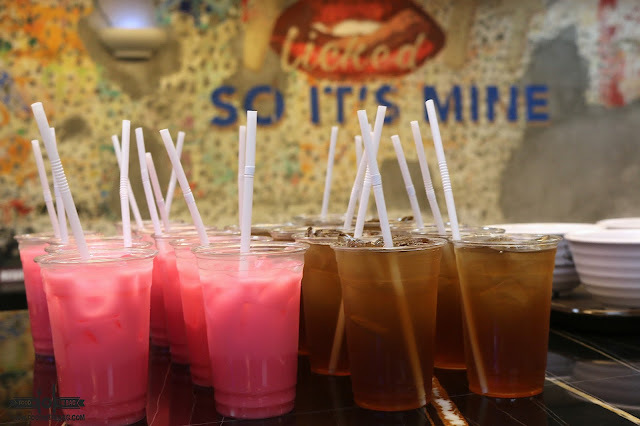 All of them will be new comers to the event and would definitely impress and showcase their countries' street food. 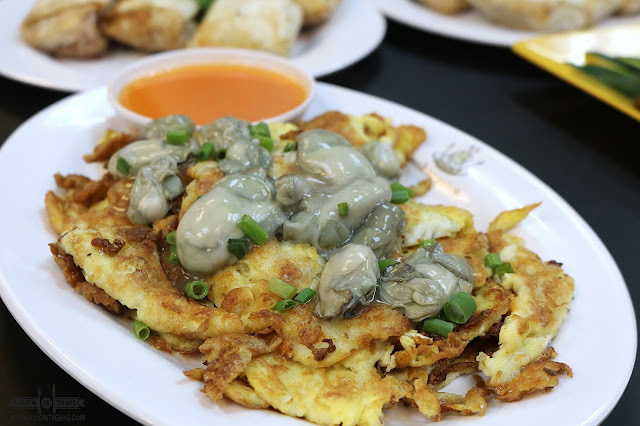 Food prices would be around Php 150 and above per dish. So mark your calendars. 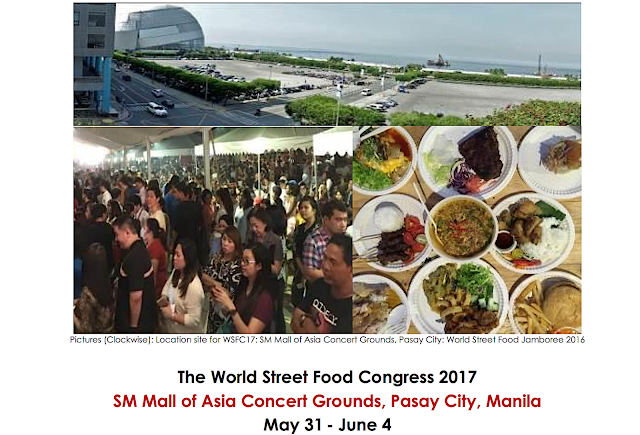 From MAY 31- JUNE 4, 2017 the WORLD STREETFOOD CONGRESS would be happening in the SM MALL OF ASIA CONCERT GROUNDS in PASAY CITY, MANILA. Photos without watermarks are not mine. They are owned by their respective owners.